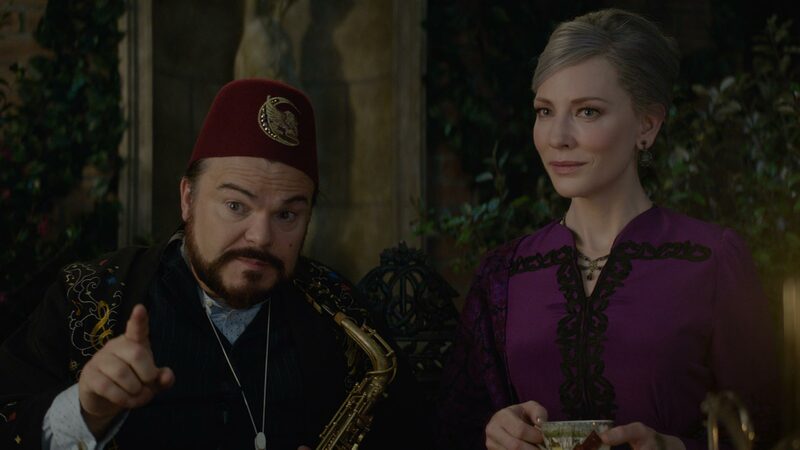 When orphaned Lewis (Vaccaro) goes to live with his eccentric uncle Jonathan (Black) in a spooky looking mansion, he discovers Jonathan practices magic along with neighbour Florence (Blanchett). Things take a scarier turn, however, when Lewis inadvertently raises the dead and brings back the one person who could cause the end of the world. 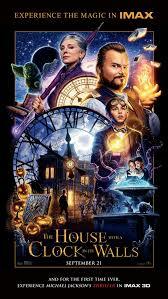 Based on the novel by John Bellairs, this comic horror fantasy will initially remind viewers of another Jack Black family scarefest, Goosebumps, as it skilfully mixes humour and slick CGI with thrills as Lewis uncovers the secrets of both his uncle and his new home. There’s also some great interplay between Black and Blanchett as the bickering witchy friends, and Vaccaro is cute, but parents should be warned that about two-thirds in, it becomes less funny and instead gets pretty dark (see Parents’ Notes, below) as director Eli Roth – best known for gruesome grown-up movies Cabin Fever and Hostel – ramps up the ‘horror’ elements of the story, elements that could seriously freak out younger viewers. A woman shape-shifting in quite a frightening fashion, some psychopathic puppets and the sight of a junior Jonathan with a baby body but Black’s head are all scenes that truly test the movie’s 12A UK certificate, and make this far more suitable for older kids (12+). They’ll enjoy the creepiness, the well-written story and the effects, while adults will have fun watching a movie that captures the mix of scares and comedy they remember from classics like Gremlins, Death Becomes Her and The Addams Family. Parents should note that this is a 12A certificate in the UK (PG in US, Canada, Australia) for scary scenes and mild violence. A woman who shape shifts violently into another person – note that the transformation late in the movie is quite disturbing, and similar to the effect from Total Recall when Arnold Schwarzenegger removed his female disguise. Main characters being trapped by creepy looking puppets that have come alive. Younger children (under 10s) may be frightened when the pumpkins come to life as their faces are quite scary. When time is altered, Jack Black’s character becomes a baby but with his head. This looks quite weird and may disturb rather than amuse younger viewers.